Being online is now part of everyone's daily activity these days, and while we are still waiting for Free browsing or relatively cheap cheats, at least we can still subscribe to these new MTN data plans that gives almost 500% of the existing data plans. If you have any questions or issues, please comment below. Hope to make everyone know this is a 7days plan. So before u subscribe, be sure u can spare that much for just 7days. Be careful, I sent 110 to 131 and the reply was "your subscription for 750mb @#2000 faild". Thank God I didn't have money in my account. Hello Mustapha, its unfortunate but to the best of my understanding if you have an insufficient balance, MTN doesn't reply specifying the plan you are trying to subscribe to rather they reply this "Your operation failed due to Insufficient Balance." You didn't believe me? Anyway, there's no point lying sir. 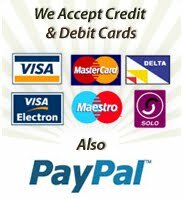 Hello Mustapha, Far from that, what we are trying to communicate to you is, if your interested in the plan you can recharge and call customer care to assist you with it as this is not a cheat or illegal plan, rather its a legitimate plan from MTN. 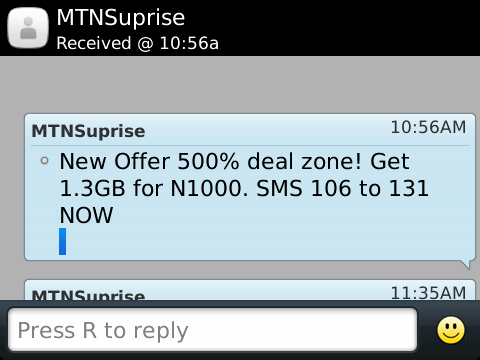 I understand your point now but what I can see in this is that, some mtn lines are not eligible. At least for now. 1.3G mtn subscription is working. With 1000 Naira. Hello Aloysius, all plans are 30days except that of 750mb which is 7days. Hello Bamidele, we are glad you have now gotten yours. how does one check themail data balance? Hello Fitka, Text 2 to 131.